The superstar custom ROM when it comes to customization is now available for Samsung Galaxy S4 model i9505. Android 5.1.1 based BlissPop custom ROM is close to AOSP, offers a very stable experience and yet full of customization choices. 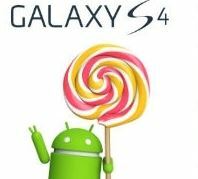 This Android 5.1.1 custom firmware brings more features to your S4 than the AOSP. Animations, customizations, performance improvements, and stability – here’s how to flash BlissPop Android 5.1.1 custom ROM on Galaxy S4 i9505. Required files: download the BlissPop Android 5.1.1 Lollipop custom firmware for Galaxy S4 and save it on your computer. Do not extract the contents. Also download Google Apps Package. From recovery menu, select install zip from sdcard followed by choose zip from sdcard. Locate the BlissPop Android 5.1.1 Lollipop custom firmware and confirm the flashing process.